This week marks another Inbound conference and another memorable keynote from HubSpot founders Brian Halligan and Dharmesh Shah. For the last two years, the product enhancement focus was on creating new platform capabilities. This year it is about deepening, refining and integrating their platforms. While the announcements made at each of the last two years’ events were exciting from a general perspective, today’s announcements are just as exciting from a practitioner’s perspective. HubSpot, more than any of their competitors, understands that it’s not just the technology that matters, but how well that technology can be used to drive results. Today, HubSpot raised the bar on everyone, as they continue to make all aspects of their platform more powerful and customizable, while also making it simpler to use. 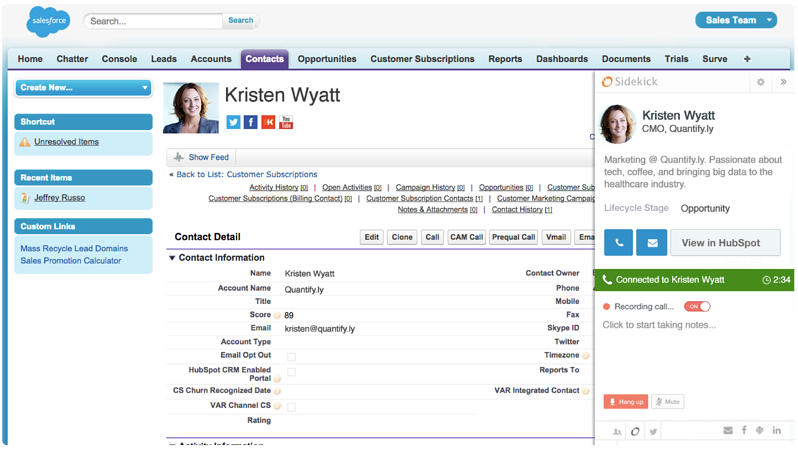 The announcement of a game-changing CRM last year was big. As I shared in a review earlier this year, HubSpot has continued to invest in enhancing the power and usability of the CRM. The one downside (for lack of a better description) was that as good as the CRM is, it still behaved like a separate system, rather than a truly unified platform. With today’s announcements, HubSpot continues to evolve towards being that unified platform. This means that companies that utilize both the marketing automation platform and the CRM will gain benefits in terms of integration, efficiency and capabilities. That said, both continue to stand on their own as powerful tools. A plethora of refinements were announced related to their core marketing platform. The fundamental difference between HubSpot and their technology competitors is that they understand and address the needs of their key personas better than anyone else. They realize that great technology is like great design – it’s best when it’s not noticed. 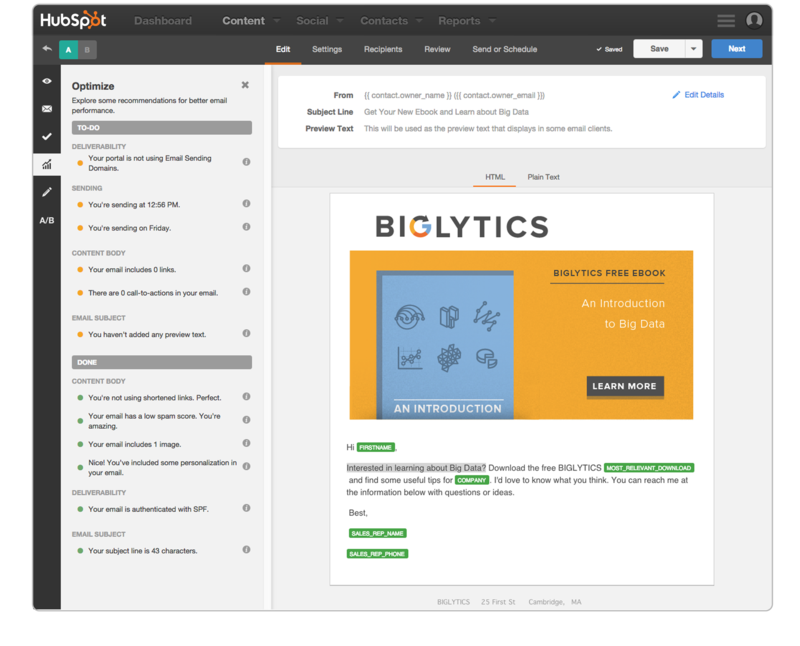 While using HubSpot has always been intuitive, they’ve raised the bar with the ability to create and edit all types of pages and emails in the actual format they will appear. This saves time, reduces the likelihood that you’ll miss something and makes the entire process of working within the tool more enjoyable. In addition to making it easier to edit, they’ve also integrated their optimization tools onto a single page and interface. So you’re now able to work on the email, landing page, blog or web page while also ensuring that you are taking advantage of all best practices. 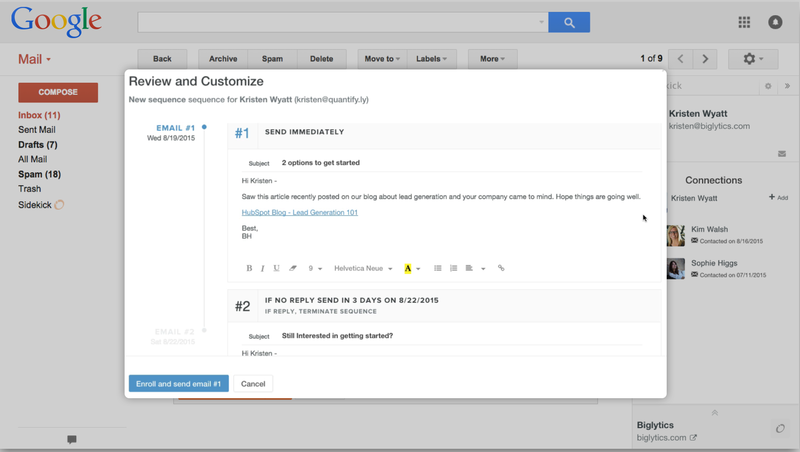 Over the last year, HubSpot has improved their workflows/automation tools significantly. From introducing branching logic (last year’s Inbound) to just making it simpler to work with. This year they launched the ability to assign and track performance goals and results to workflows. Another enhancement that is part of their easy initiative includes an update to the look and feel of various screens and menus. They both load faster and provide greater insights to those who are using them. I’ve been using these tools for the last couple of weeks and can attest that they save as much as 10 – 30 minutes. For a team responsible for driving results, this adds a significant amount of time to the day. The sales and marketing technology stack continues to gain more and more attention as the universe of options continues to expand exponentially. Over the last several months, HubSpot has been expanding its ability to integrate with these tools to further enhance a marketer’s ability to drive results. Today they announced several new integration partners. More importantly, they highlighted how they will integrate these tools into the timeline, the central resource for customer/lead intelligence. We’ve been taking advantage of HubSpot’s growing list of integration partners. Our ability to utilize other tools in our marketing efforts while keeping the management and monitoring of results simple has grown materially. As the sales and marketing world continues to move towards an Allbound approach, HubSpot is moving to support those efforts as well. 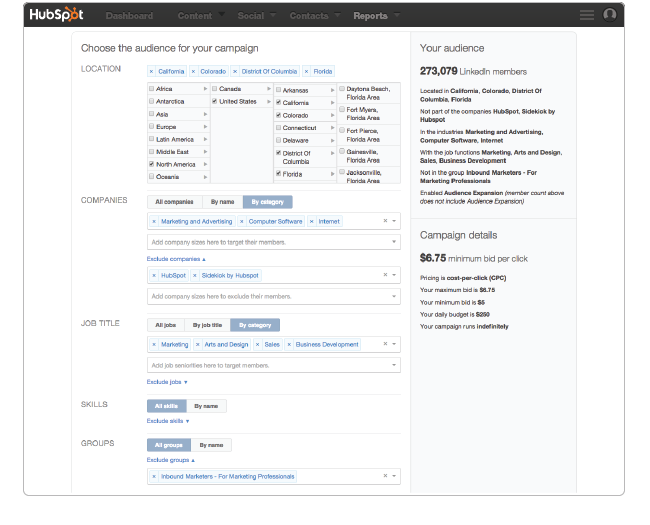 A new add-on feature makes it easy and effective to create, measure and leverage adds with inbound marketing campaigns. You can create search and social ad campaigns from within HubSpot allowing you to consolidate and measure your comprehensive go-to-market efforts, and to fully close the loop and monitor ROI. As your marketing and sales efforts expand, the complexity you deal with multiplies. Staying on top of results and progress is crucial to ensure you gain the maximum results for your investments and efforts. 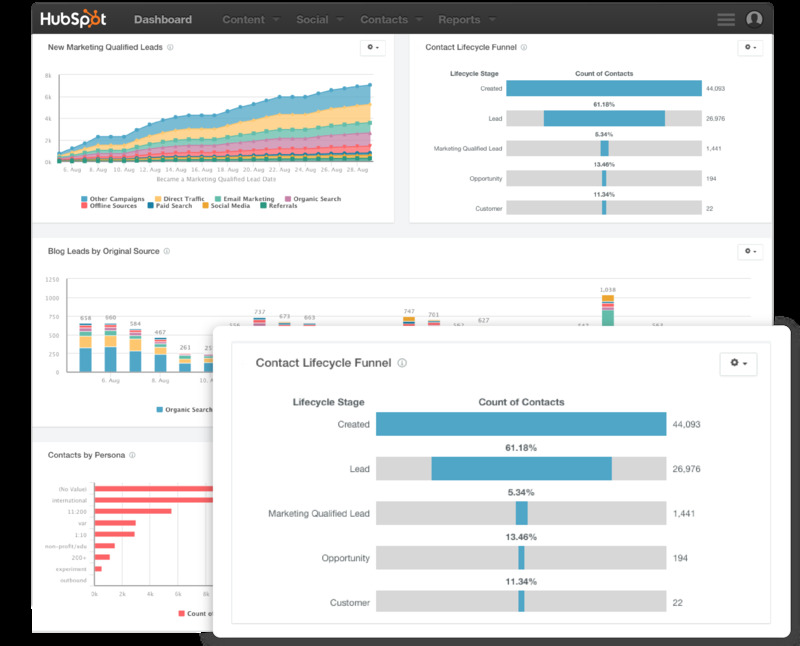 The utilization of customized and effective dashboards has been an important cog that, frankly, HubSpot’s tools have not adequately supported. For years we’ve needed to manually create spreadsheets, charts and graphs to track important metrics and create appropriate dashboards. 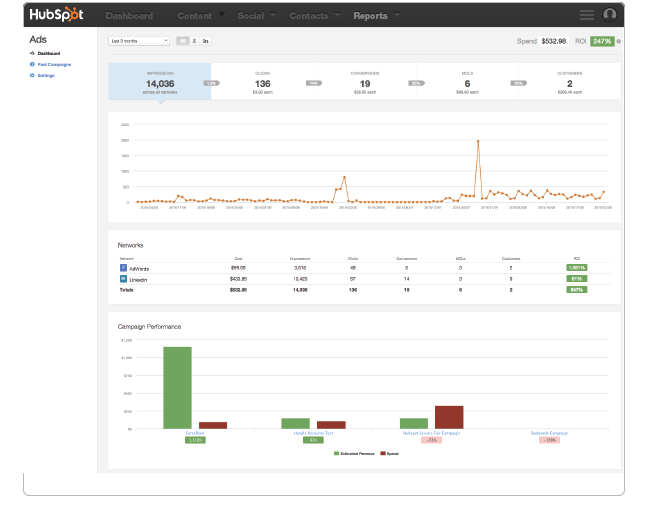 For this reason, I was very excited to learn about the reports add-on that HubSpot is rolling out. Bridging the marketing and sales sides of the database, the reports tool allows you to create and customize appropriate dashboards for each member and/or team within your organization. I’ve had the chance to test out the reports tool and can see tremendous promise within it. One of the advantages that Salesforce.com has had over HubSpot for years was the ability to slice the data within the system to create customized reports and dashboards. With this new feature, HubSpot is taking a big step towards closing the gap in this area. That said, I should also note that the reports tool is not where it needs to be to be the dashboard tool it promises to be. Setting up reports is relatively easy, but you’re limited to what data you can use and how to structure your reports. So while this will reduce the need for our spreadsheets, it doesn’t eliminate it … yet. The way people search and buy has fundamentally changed. Mobile has become a large part of the story, and even the expected norm when it comes to website experiences. Increases the speed and utilization of system resources. Studies show that the faster a page loads, the more likely a visitor stays and engages. HubSpot continues to support this. In addition to these enhancements, they also announced an expansion of international and language capabilities and the introduction of predictive lead scoring built from with the tool. Last year HubSpot began experimenting with a new pricing approach. It appears that they’ve liked the results as this year they’ve expanded it. If you want to take advantage of the Ads, Reports or Websites functionality, you will need to pay an add-on fee above the investment in the core tool. While I certainly understand HubSpot’s rationale for this approach, I have to admit it concerns me a bit. I’m not quite ready to form a full opinion on this approach, and I’m looking forward to gaining more insight from the HubSpot team, but a core part of HubSpot’s value proposition has been the ability to manage the complexity and keep things simple. This new approach to “add-ons” and changes in pricing certainly move them closer to complex. 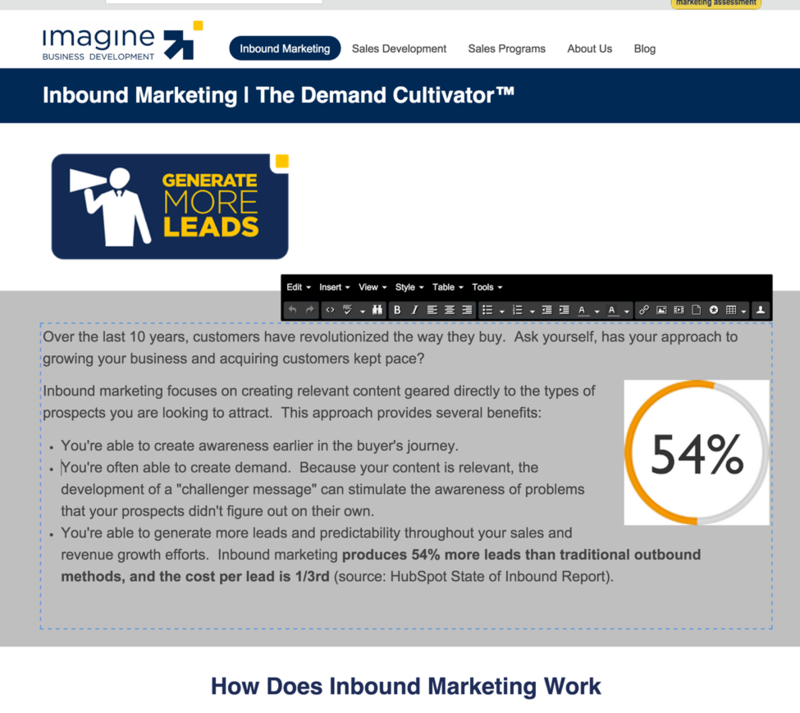 As good as the HubSpot marketing platform is, the last year has been an absolute joy in working with their sales tools. 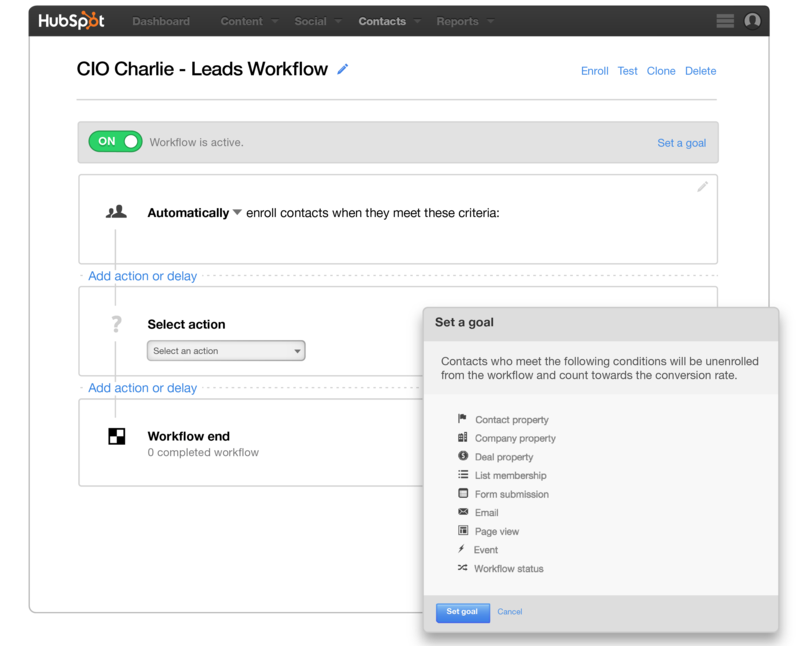 The combination of a sales-oriented CRM with the enhancements they’ve made to the Sidekick suite of sales acceleration tools have powered our sales process and the work we do for clients. While the marketing enhancements got the lion share of focus, the enhancements they’ve made on the sales side are quite exciting. Chief among those enhancements is the introduction of Sequences. This tool allows organizations and salespeople to set up semi-automated workflows that adjust to the action (or inaction) of a prospect or salesperson. This makes sales follow up and campaign management far more flexible, controllable and measurable. They’ve also added social connections to the Sidekick profile tool. 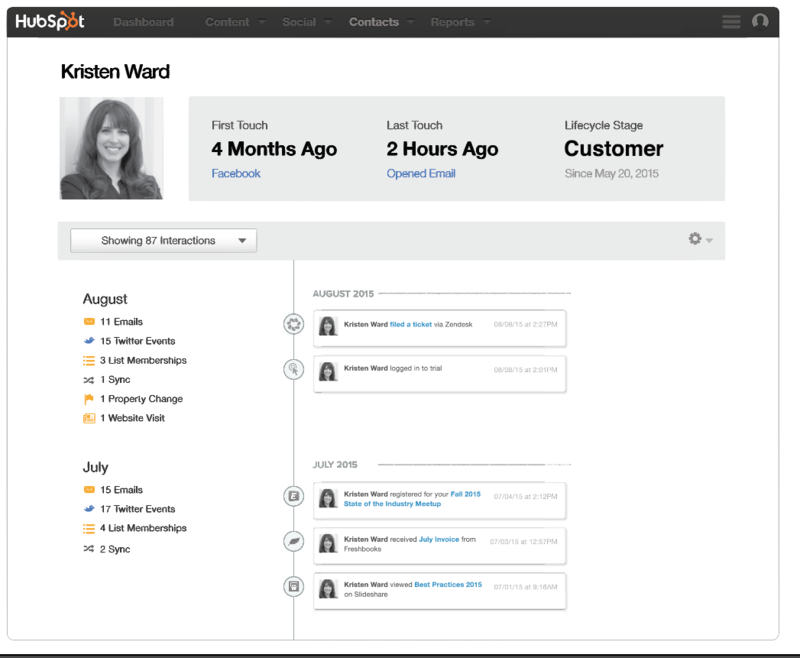 Now in addition to gaining a quickview on important data about prospects and leads, you can also see connections with them from within the same screen. This means greater utilization of social selling best practices with less distraction on sales time. 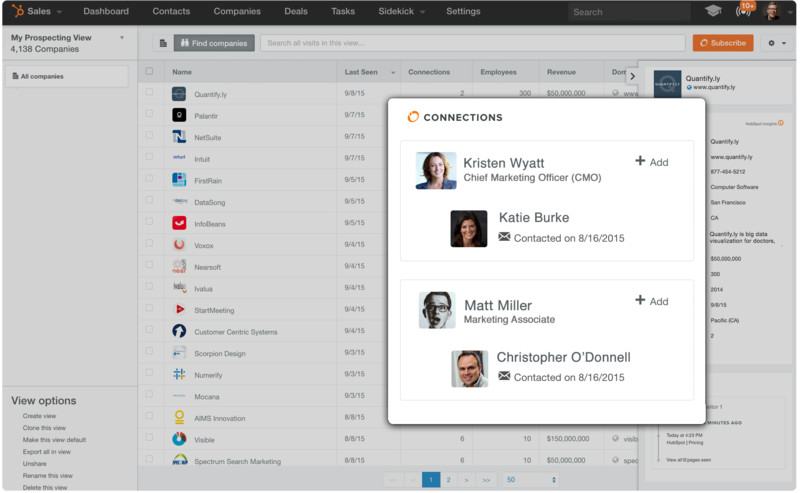 Lastly, HubSpot also announced enhanced Sidekick capabilities within Salesforce. Three years ago when we made the decision to partner with HubSpot we did so because we were confident in the people and the strategy they put forth. Over those years, we’ve seen our decision pay tremendous dividends as the company has continued to invest in creating the single best, integrated sales and marketing platform in the industry. Their announcements today simply raise the bar for everyone, and the sales and marketing industry all benefit from it.